Building disciples in your parish or school community. 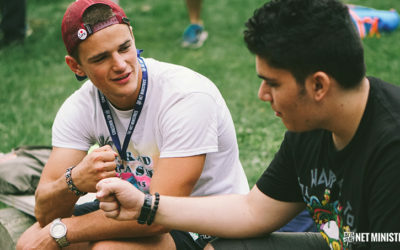 Discipleship Teams offer a unique opportunity that combines the efforts of a parish or school and that of a NET team, in order to enrich Catholic culture and build a community of disciples that have a lasting relationship with Christ. A partnership is formed between a parish/school and NET Ministries, in which they work side-by-side to bring Christ to the community. A key aspect of Discipleship Team ministry is the ability for relationships to be built between the team members and the youth. Through these personal relationships, team members help guide the youth of the parish on their faith journey toward Christ. The team works alongside the parish or school staff to help augment the current ministry program and ultimately form those in the parish/school to be disciples in their own community. A commitment between NET and a parish or school is for three years. Each year, a team of 6-8 trained NET Missionaries is sent to the parish to serve from mid-September to May. Over the course of the three years, the parish or school works closely with NET staff to ensure a Youth Outreach plan that focuses on the best approach to engage and disciple the youth of the parish/school. The plan is tailored specifically to each parish or school to ensure a balance of ministry between inactive youth and faithful youth. Through their partnership, NET Ministries and the parish or school work toward developing a ministry that will allow the parish to flourish for years to come. Together they work to love, serve, and witness the faith, ultimately drawing others into communion with Christ and each other. 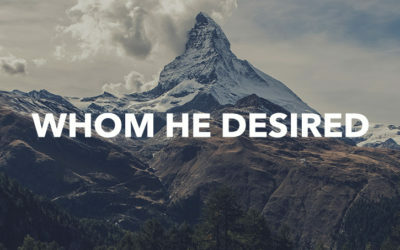 Will you be able to obtain permission from your diocese to have a Discipleship Team? Permission from the Bishop is required. How supportive is your pastor or principal of having NET at your parish or school? How long will your pastor or principal be stationed in your parish or school? Does your parish or school have a youth minister or campus minister? If not, will they be willing to hire one? Is your parish or school financially stable and able to afford the cost of a Discipleship Team? 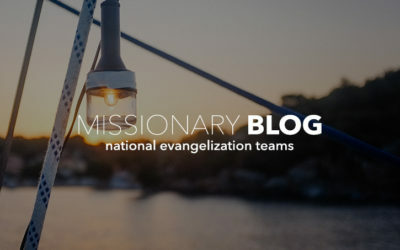 If you are interested in starting a conversation about having a Discipleship Team, please contact Discipleship Team Coordinator, Lynn Mayer at lynnm@netusa.org. Have around 7,000 interactions with young people in your community. Conduct over 300 1-on-1’s with over 100 different young people. Launch up to 8 discipleship groups. Stay with 30-40 different host homes.